MotorWeek names the BMW 1 Series "Best Convertible"
MotorWeek, a publication sponsored by Cars.com, has just named the BMW 1 Series as being the “Best Convertible”. 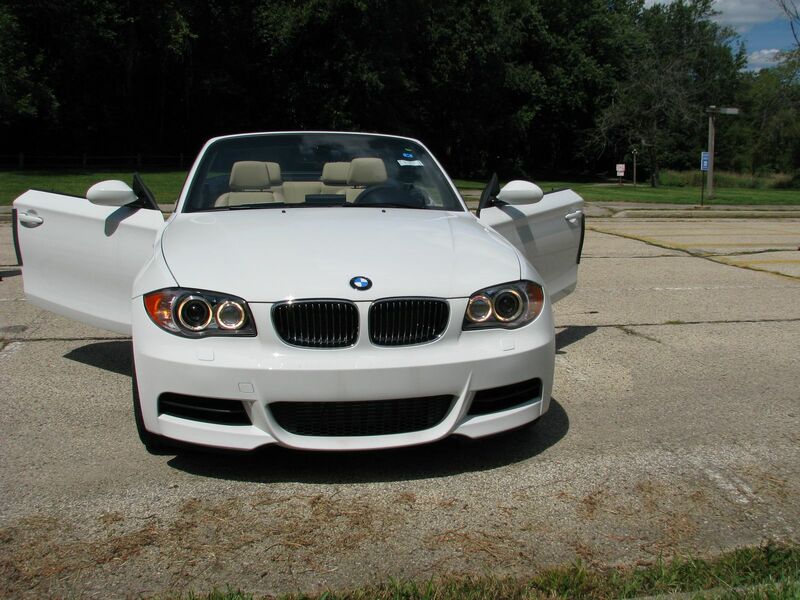 BMW debuted the latest addition to the 1 Series line-up, the 1 Series convertible (E88), on September 2007. In the U.S., BMW sells the 128i and 135i Convertible with the same powerplants as the coupe variants. We test drove both the 135i Convertible with U.S. specs, but also the the 125i Cabrio available in Europe. Our conclusion? Quite positive and in-line with other publications have posted, the 1 Series Convertible are fun, sporty and a threat to the other cabrios out there. While it’s hard for me to part with my 335i, every time I’ve driven the 1 Series Convertible or Coupe, I felt completely connected to the car and a viable solution for anyone looking to spend a bit less than a 3 Series. As one of my friends said, “this is truly a car made for the driver”. Once again, great recognition for BMW and we look forward to the next revolutionary BMW 1 Series. Next post Edmunds says: 2009 BMW 750i: The Cadillac of BMWs – We disagree!